Oil extended gains toward $51 a barrel as Saudi Arabia said all producers participating in output cuts agree on prolonging the deal through the first quarter of 2018, Bloomberg reported. Futures climbed as much as 1.1 percent in New York after advancing 5.2 percent last week, the biggest weekly increase since March, according to Bloomberg. An extension into next year will help producers reach their goal of trimming global stockpiles to a five-year average, Saudi Arabia's Energy Minister Khalid Al-Falih said Sunday. In the U.S., drillers targeting crude added rigs for the 18th week. Oil has climbed as Saudi Arabia and non-OPEC member Russia rally support for a nine-month extension to the output-cut deal by the Organization of Petroleum Exporting Countries and its allies. While stubbornly high global inventories have taken longer-than-expected to drain, signs that U.S. supplies are starting to ease is adding to optimism. OPEC meets in Vienna on Thursday. "The market is gaining confidence from the agreement being adhered to and the material difference to the supply balance that's expected over time," said Ric Spooner, an analyst at CMC Markets in Sydney. "Oil is unlikely to advance too far. Higher, sustained prices run the risk of an increase in U.S. production." 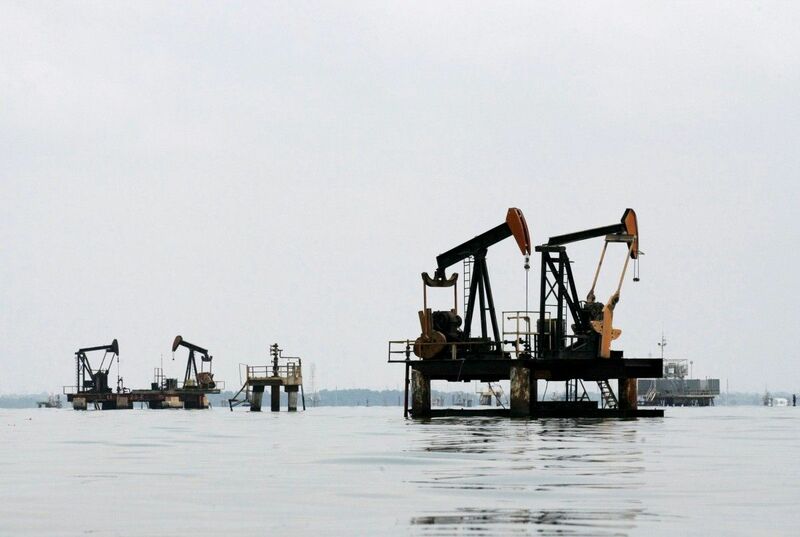 Read alsoReuters: OPEC heads towards supply cut extension as Saudi signals most on boardWest Texas Intermediate for June delivery, which expires Monday, rose as much as 56 cents to $50.89 a barrel on the New York Mercantile Exchange. Total volume traded was about 42 percent above the 100-day average. The more-active July contract gained 33 cents to $51 at 7:45 a.m. in London. Brent for July settlement climbed as much as 56 cents, or 1 percent, to $54.17 a barrel on the London-based ICE Futures Europe exchange. Prices rose 5.5 percent last week. The global benchmark crude traded at a premium of $2.91 to July WTI. Iraq's Oil Minister Jabbar Al-Luaibi said almost all countries participating in the cut had agreed to extend it, though there was no consensus yet on how long the extension should be. "Some ministers say nine months, some ministers think six months," al-Luaibi said Sunday in an interview in Jordan. Iraq is OPEC's second-largest producer; Saudi Arabia, the biggest.